This is a story about a girl who rarely dons what some would call acceptable everyday wear. Her uniform of choice includes a somewhat fresh pair of leggings, whatever shirt she slept in the night previous, and a fleece pullover. So, what happens when all those things are deep in the trenches of the laundry hamper? This post happens, this barrage of pictures happen, a feeling other than shame happens. You look great!! Love the entire outfit! Love the outfit! 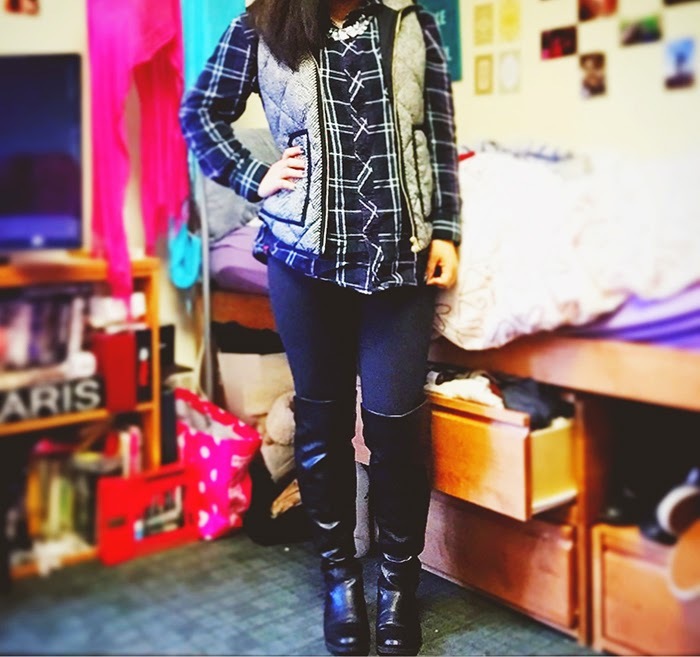 Plaid, a vest & tall boots are my go-to. 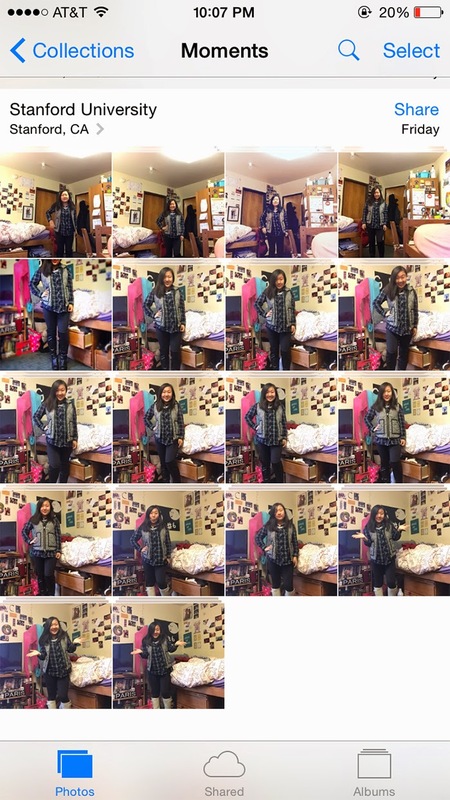 What a cute look, and that happens to me all the time - 12 pictures that look almost identical!